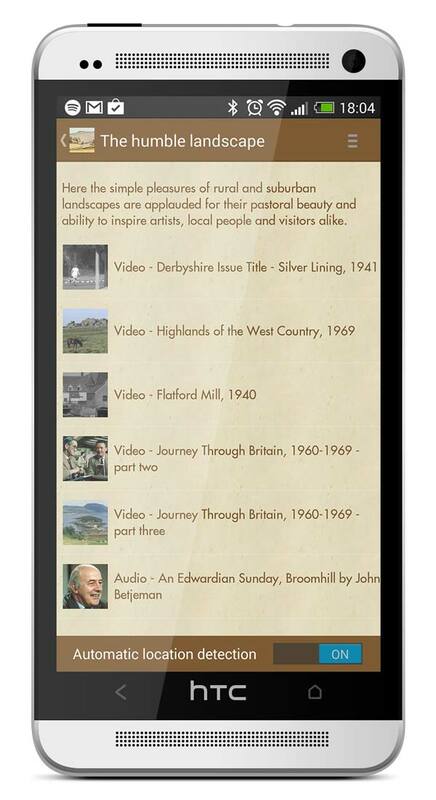 The Recording Britain app is available for free for iOS and Android. It accompanies the Recording Britain exhibition organised by the Victoria and Albert Museum, London, showing in the Millennium Gallery in Sheffield from 3rd April to 2nd November 2014. The app helps convey a sense of what Britain was like at the time the paintings were created. There are wonderful videos from British Pathé and readings of John Betjeman poems. The app uses beacon technology to detect the user’s position within the exhibition and show relevant content. Please note that you do not have to be in the exhibition in order to access the content in the app.